Follow along as we continue our upgrades and travel the US! Subscribe to our newsletter! See how The DIY Mommy made over their camper's dated bathroom on a budget with a lot of paint and tons of elbow grease! 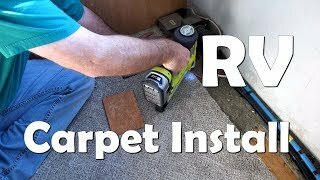 This New Old RV - Final Carpet Install & New Gaming Chair from RecPro! 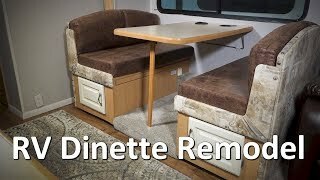 Sign up Today to start receiving our Email Newsletter about the renovation of this wonderful old RV! Go Shopping At Amazon! When you purchase any item, ThisNewOldRV.com receives an affiliate commission. It's a great way to support the cause! Thanks for your help! ThisNewOldRV.com is owned and maintained by OpenAirNet Inc. All rights reserved. WrapBootStrap.com Licensed Website. OpenAirNet Incorporated and ThisNewOldRV.com. Unauthorized use and/or duplication of this material without express and written permission from this site's author and/or owner is strictly prohibited. Excerpts and links may be used, provided that full and clear credit is given to OpenAirNet Incorporated and FunPlacesToFly.com with appropriate and specific direction to the original content. Please read our Disclaimer.